Are you looking for an exciting internship opportunity? 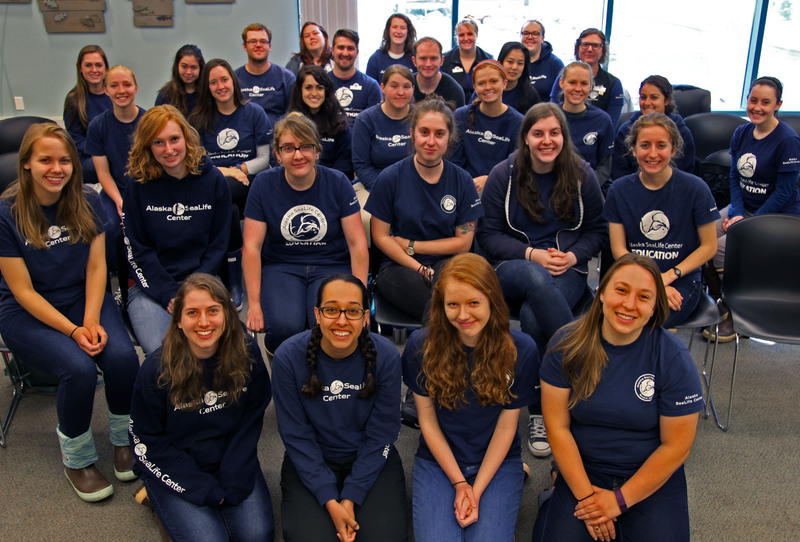 The Alaska SeaLife Center (ASLC) is sponsoring internship programs for college students or graduates who are interested in gaining a one of a kind experience in a world-class marine facility. ASLC internships offer a well-rounded experience in a variety of areas within the Center. Depending on the type of internship, duties may include assisting aquarium, avian or marine mammal staff with animal husbandry tasks; helping with marine-related research projects or as support in our education department. Interns will be required to participate in a variety of areas and all are required to participate to some extent in the interpretive aspects of our operation. Internss will not be permitted to participate in ASLC activities on vessels unless specified in the internship. We are currently in process of conducting interviews for our summer internship positions. We are no longer accepting internship applications for the 2019 summer season. Fall Internship recruitment will begin in mid-June 2019, please keep checking for updates! We will continue to accept applications for our Interpretation/National Park Service Internship positions. Interviews for this internship will not start until the end of February. If you have questions or would like more information on becoming an Intern at the Alaska SeaLife Center please email the volunteer coordinator. Complete the application for no more than 2 positions. Be sure to provide us with the best e-mail and phone number for contacting you. If you are applying for 2 internships you must complete an application for each one. If the application is incomplete it will not be considered. Applicants must be college graduates or currently enrolled in an accredited college or university with a background or coursework in a related field. Applicants must have the ability to understand and follow written and oral instruction, have excellent communication skills, and good organizational skills with attention to detail. Applicants must possess the ability to adapt to an ever-changing work environment, and be available weekends, evenings and holidays. Public speaking skills, a familiarity with video equipment and software, and experience with education programs are highly encouraged. For many internships, applicants should be agile with a good sense of balance in order to maneuver around exhibits and holding areas.